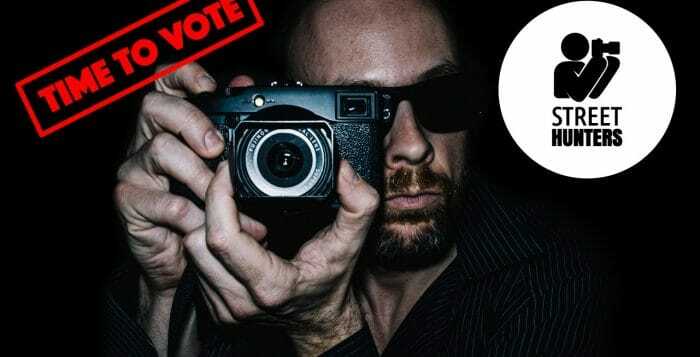 Vote for the 20 most influentialphotographers for 2017! 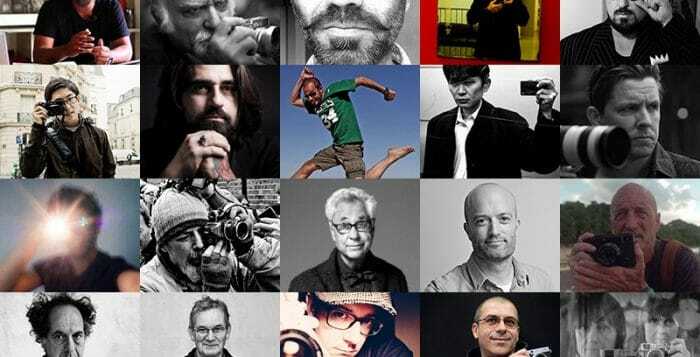 Vote for the 20 most influential photographers for 2017! Last week we asked you “Who do you think will be the 20 most Influential Street Photographers in 2017?” and you generously made your suggestions. Thank you very much! 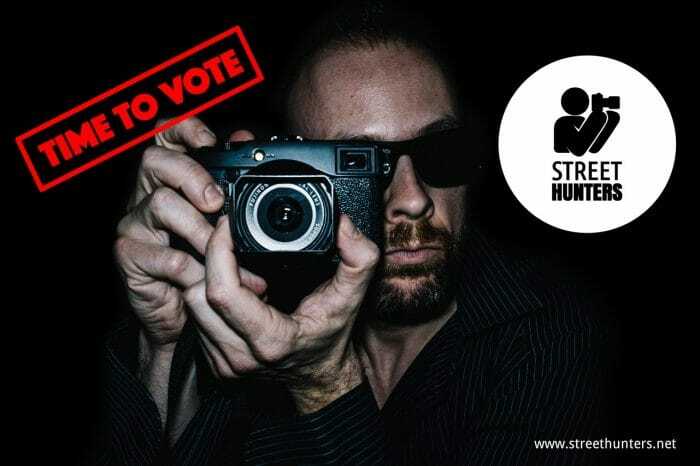 The number of names of the final voting list is 124 Street Photographers including the names added by us, the Streethunters.net Editorial Team. This is so exciting! 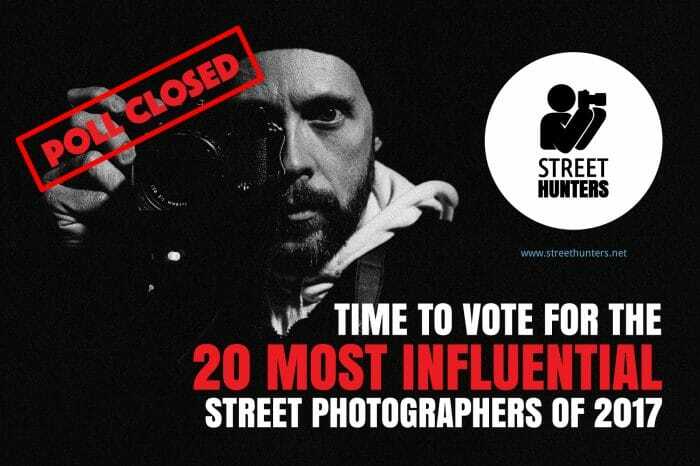 Back in May we began our annual search for the most influential street photographers of the year, asking you, our readers, to submit names and ultimately vote to decide the 20 Most Influential Street Photographers for 2016 according to the Streethunters.net Readers. 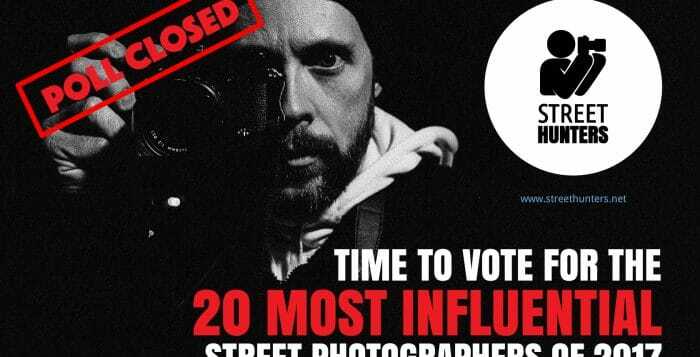 As is often the case with our ‘most influential street photographers’ search, our poll generated a fair amount of controversy. Some of it was warranted, and some of it was down to people not fully understanding the nature of the poll. We learn something from the feedback from the posts each year, so this year we decided to write a ‘debrief’ of sorts to help understand and interpret the polls, and to show that we take our feedback very seriously. So read on for the Street Hunters debrief of the results of the 20 Most Influential Street Photographers of 2016! Thank you all very much for your participation! Last week’s post “Searching for the 20 most Influential Street Photographers for 2016” was staggering! We appreciate you taking the time to give our post a look and to share your thoughts and your suggestions! 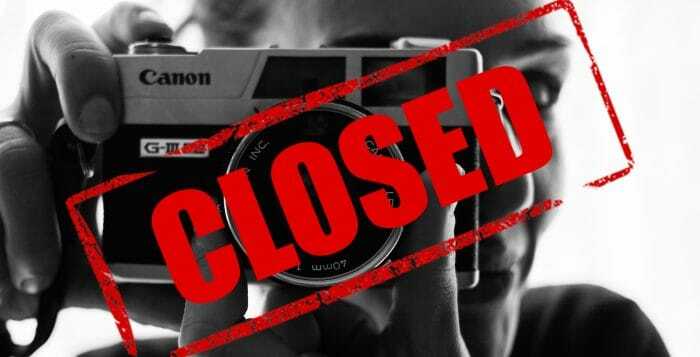 The original list of 21 Street Photographers the Street Hunters team recommended has now grown to 115 Street Photographers thanks to all of you! 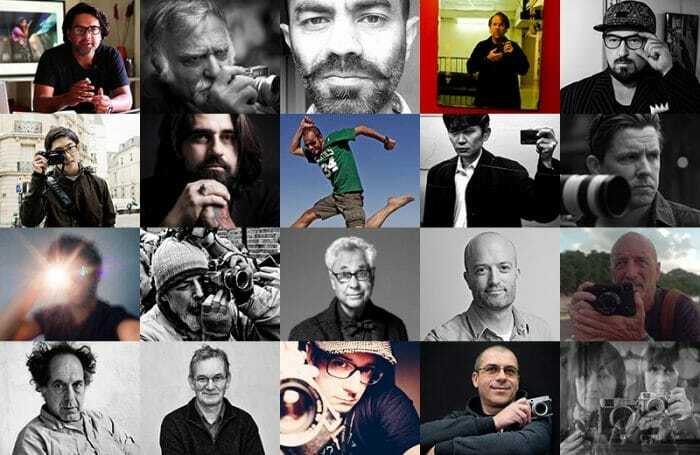 Wow 115 Street Photographers!!! This is so exciting! 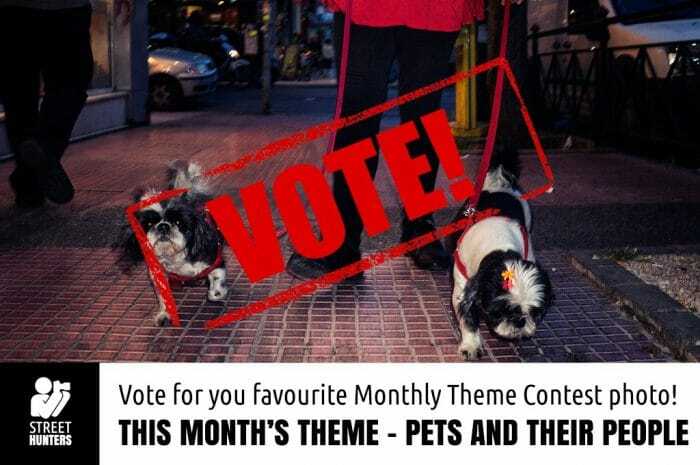 The time has come for you to vote for the best “Pets and their people” Street Photograph! This time it was a tough one! 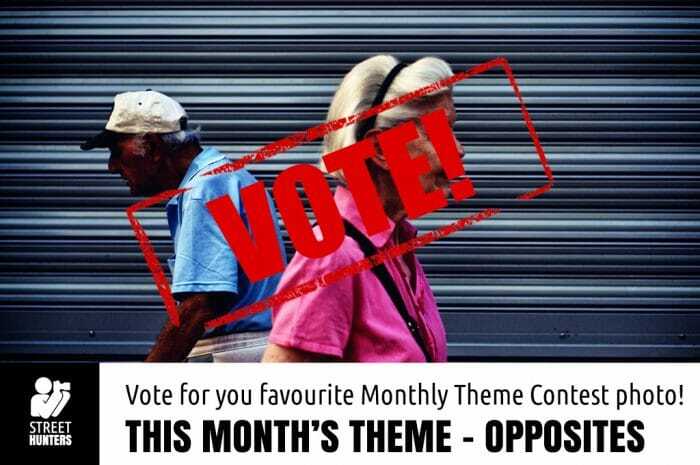 We received many photographs, but only 9 made it through to the poll. 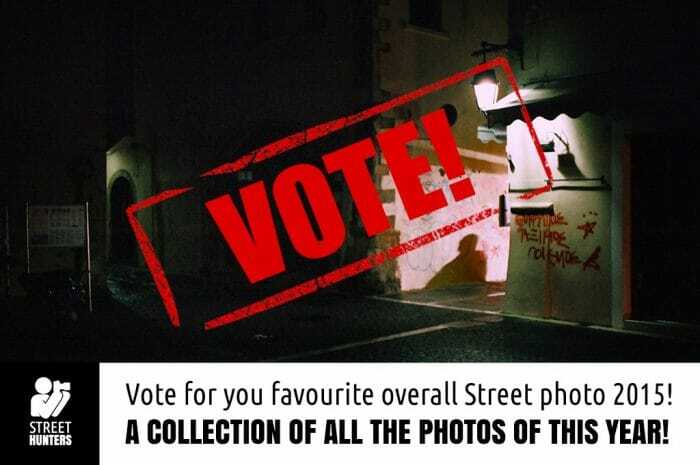 We appreciate you all taking the time to send in your street photographs and wish everyone that got through to the shortlist, good luck!!! 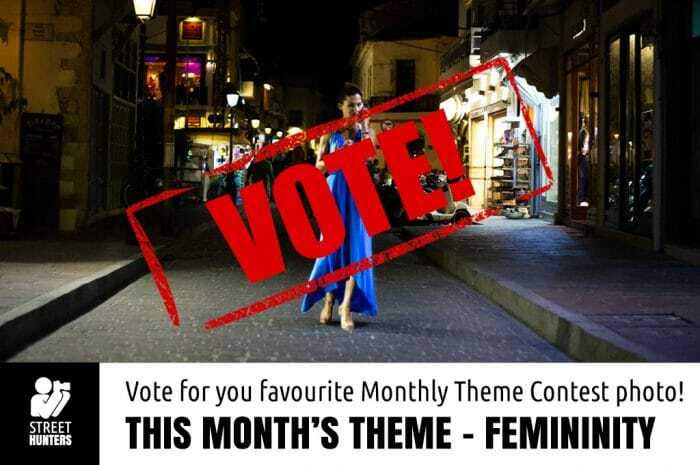 The time has come for you to vote for the best “Femininity” Street Photograph! 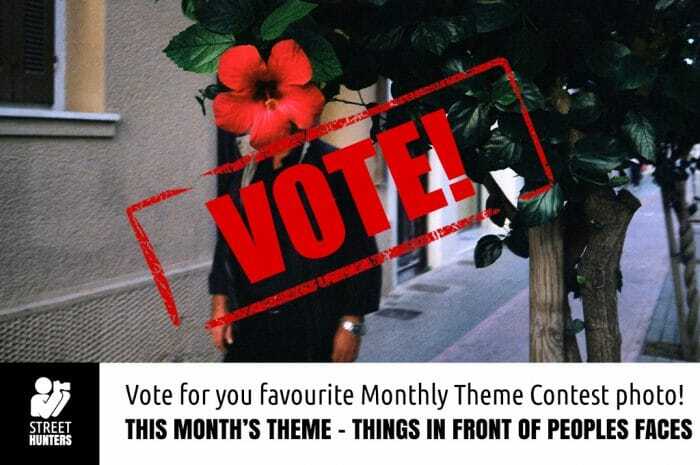 The time has come for you to vote for the best “Things in front of people’s faces” Street Photograph! 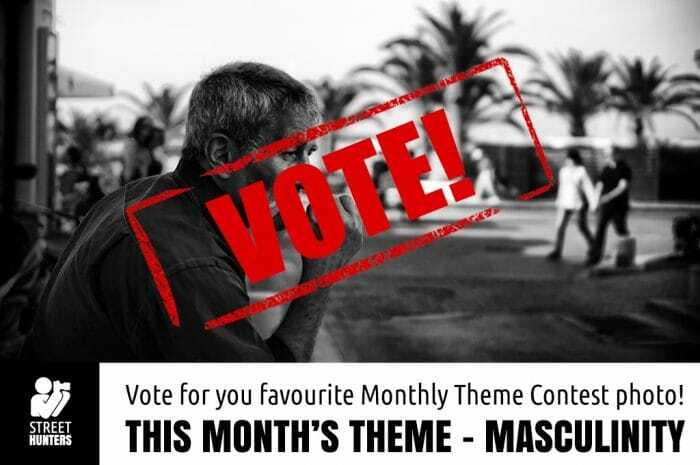 This month we received loads of submissions! Yeay, happy days! 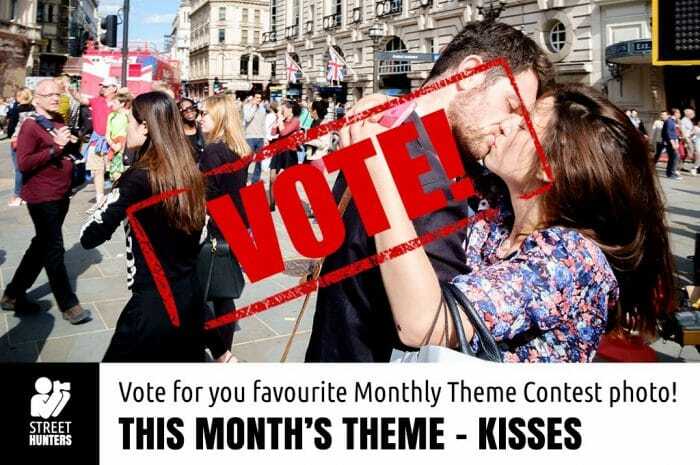 So we went through them all and selected the 10 finalists that will participate in this month’s poll. The images that have been left out are also great, but as you all know, 10 is the maximum amount of photos allowed in these contests. We appreciate you all taking the time to send in your street photographs and wish everyone that got through to the shortlist, good luck!! !